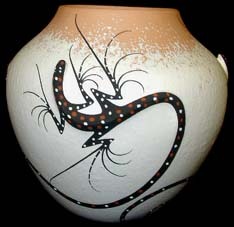 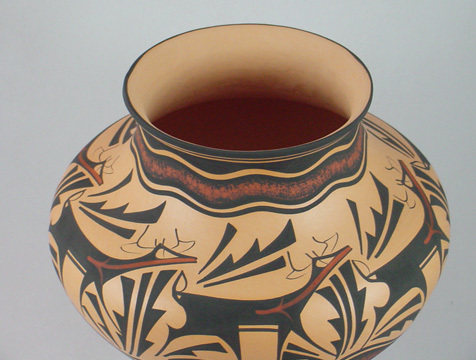 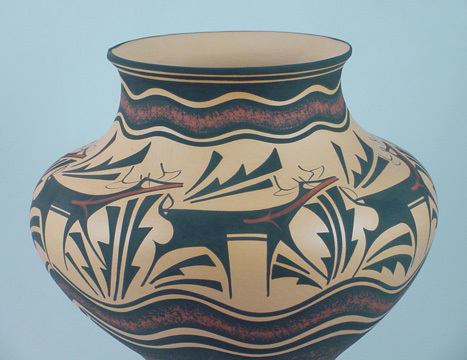 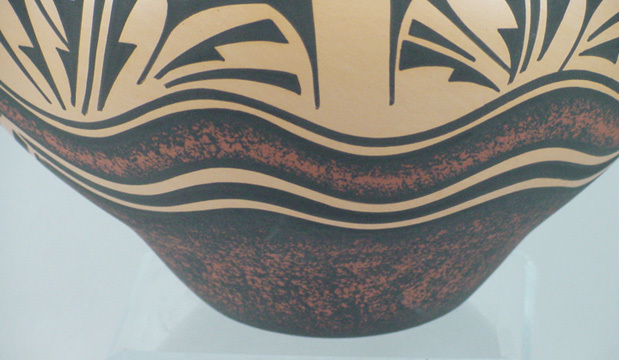 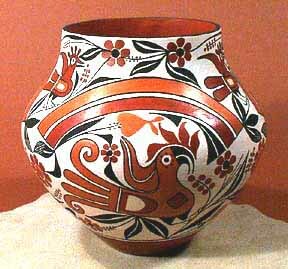 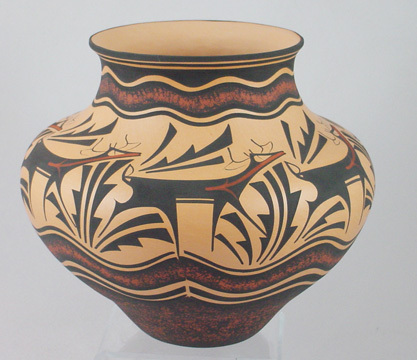 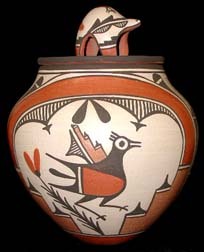 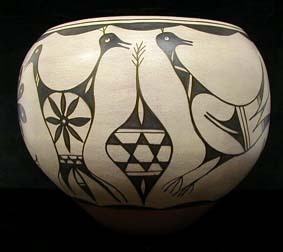 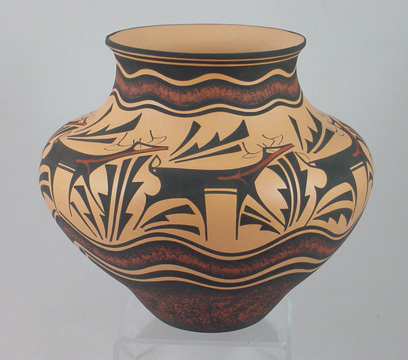 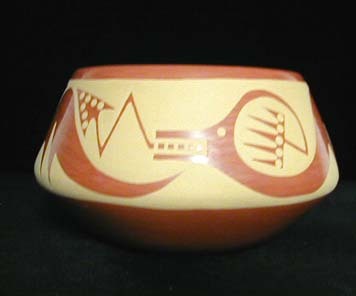 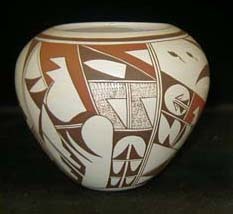 This is a large olla created by Anderson Peynetsa of the Zuni pueblo. 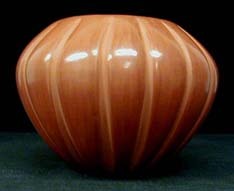 It measures 8 1/2 inches tall by 9 1/2 inches in diameter. 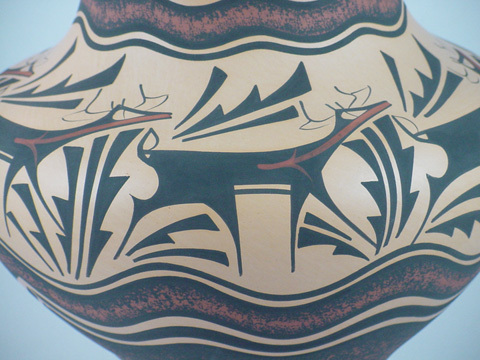 The brown background is solid and the deer are sharply painted.